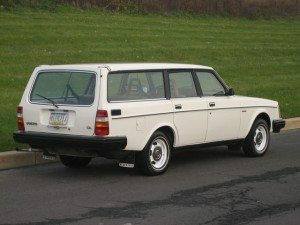 When you look at the hierarchy of station wagon styles, obviously the 4 door post wagon is overwhelmingly the most common followed by 2 door post wagons and 4 door hardtops but what about the 2 door hardtop wagon? 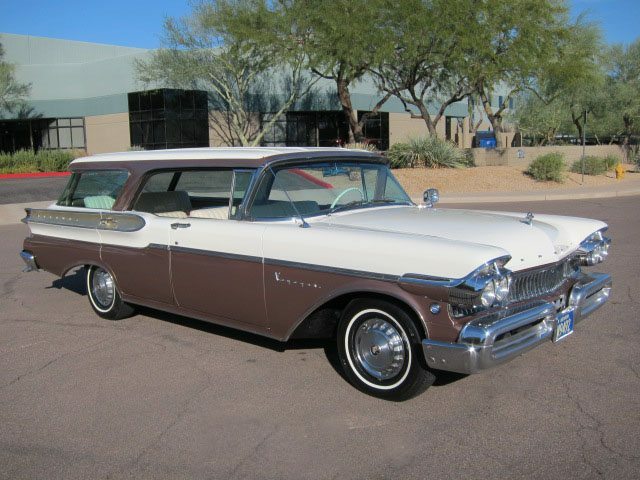 The 2 door Chevy Nomad wagons were technically hardtops but the B pillar is just behind the door so the visibility from the back seat is somewhat obstructed. 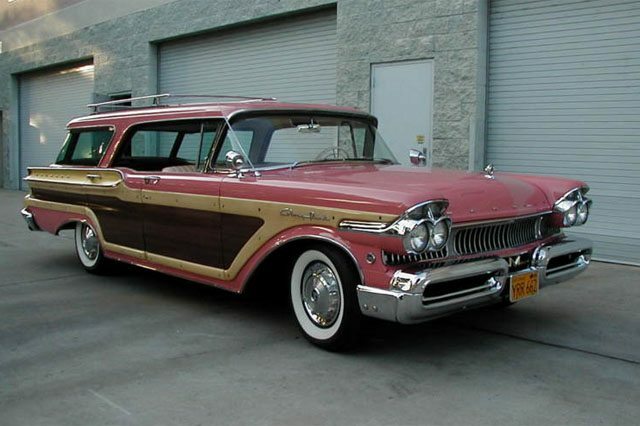 So besides the Nomad the only other 2 door hardtop American wagons I can think of is the Mercury Voyager that was manufactured for only 2 years in the late 1950’s. You can find this Voyager on Hemmings with a negotiable price of $54,500. 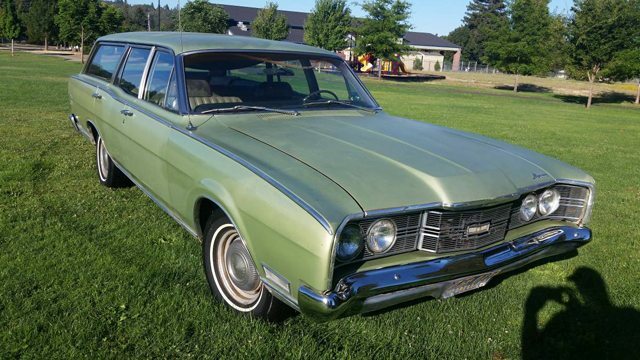 The Mercury Montego was introduced in 1968 as an upscale version on the Comet which it fully supplanted for the 1969 model year. An intermediate Mercury, the Montego offered economy and decent interior room. Make it a wagon and you’ve got yourself a decent family hauler like this 1969 Montego MX. While Montego sedans and coupes were offered as both base and MX trim levels the wagon was only available as a MX. With a 3 on the tree manual transmission and a 250ci 6 cylinder engine this Montego must be one of the lower optioned wagons produced that year which actually adds to its appeal. Listed on Craigslist in Grants Pass, Oregon the owner is asking $5,500 OBO. Beautifully restored 1959 Mercury 20th anniversary Colony Park Country Cruiser 9 passenger wagon. A wood accented marble white exterior along with a red/silver interior really makes this 4 door hardtop wagon a standout. Found on Ebay, the wagon comes equipped with a 383/280hp V8, power steering, power brakes, 4 way power seat and a rear power window. 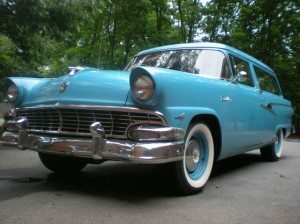 This looks like a quality restoration of a rare top of the line 50’s hardtop wagon that won’t come cheap. 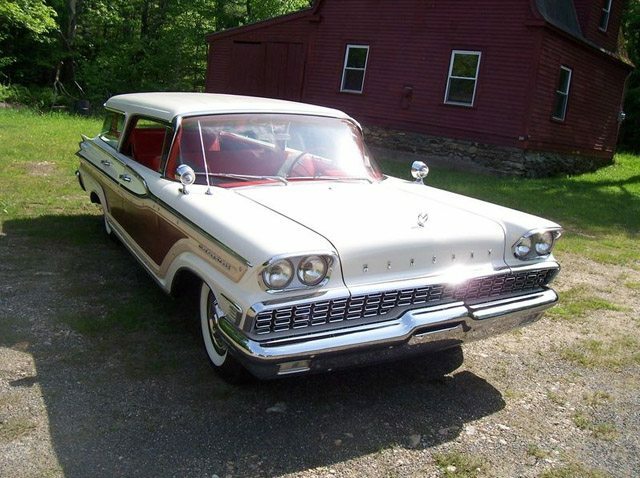 This 1957 Mercury Voyager 9 passenger station wagon found on ebay has been in Nevada its entire existence including the last 20 years in a museum. The car is described as ‘totally rust free and solid as a rock.’ Judging from the pictures, it’s hard to disagree. The options include a numbers matching 290 horsepower 362 V8, Merc-O-Matic transmission, power seats and a third row seat. The seller says the car has been repainted once the right way and sanded to a smooth finish. The chrome and trim pieces are 100% original and in beautiful condition. The inside of the car is 100% original down to the rubber mats. The few imperfections include a small tear on drivers side, a couple of loose seams in the headliner and a few small cracks in the steering wheel. Mechanically, the wagon is said to start and drive flawlessly with no squeaks or rattles. With hardtop styling, classic 2-tone paint and a desirable Turnpike Cruiser engine this rare Voyager is one of the nicer 1950’s wagon finds. Found in a barn in 2007 with only 3,774 miles this early eighties behemoth rivals the Griswald Wagon. 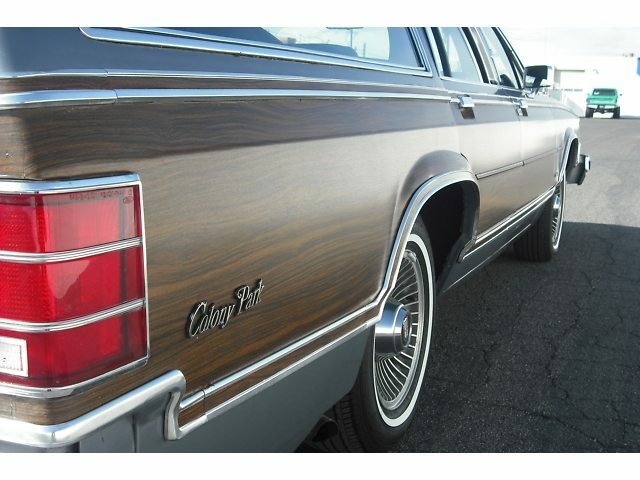 Like most Ford wagons of the day, faux wood paneling adorns the car, and being a Grand Marquis the interior has all the creature comforts of the day. 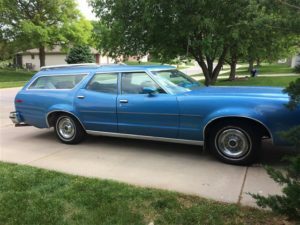 Given the role of the family station wagon, it’s pretty hard to find a low mileage original, but with only 4,516 miles this truly is a rare find. Found on Ebay, this is the kind of car that should give you years of relatively easy service. The owner states that all the fluids were replaced and the car was gone through with a fine tooth comb replacing anything that wasn’t perfect using OEM parts. He also states that it is an excellent runner. Yes, it will cost you plenty to fill up, but wouldn’t this be the perfect car to bring the family to Wally World in? 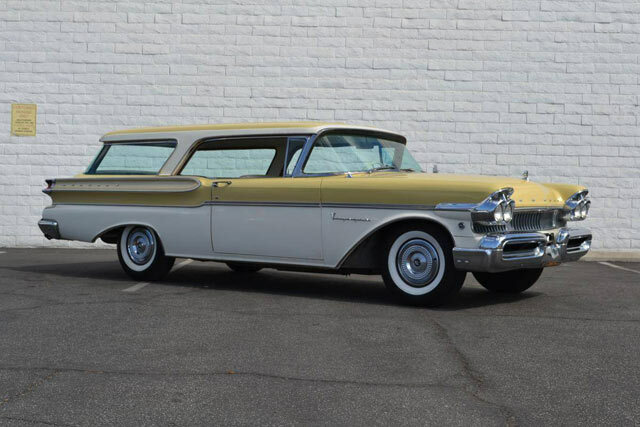 With hardtop styling and tasteful wood trim, big ‘M’ Colony Park wagons from the 1950’s are pretty special cars. Add in the very rare Rosewood color an this car is a sight to behold. Found on Ebay with a buy it now price of $54,900, this lifetime California car has been completely restored to its original glory. All sheet metal and floors are completely original and rust free. The wood trim has been restored and N.O.S emblems and lenses have been added. 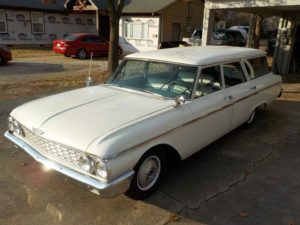 Powered by a rebuilt 368 Turnpike Cruiser engine with an automatic transmission the Colony Park comes with power steering, brakes, windows and seats. Also included are a Town and Country radio, tinted glass and a roof rack.